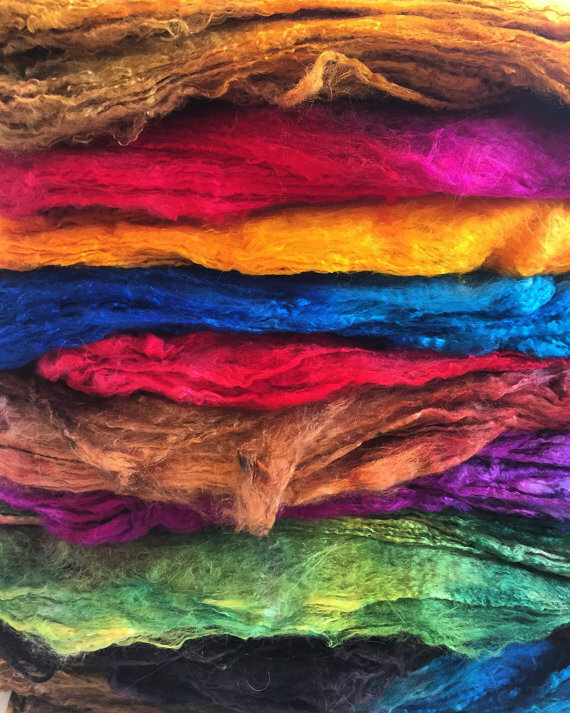 Hand-Dyed Silk Hankies — Dyed in small batches, with acid dyes, by fiber artist Robbin Firth, in vibrant and unusual colors. 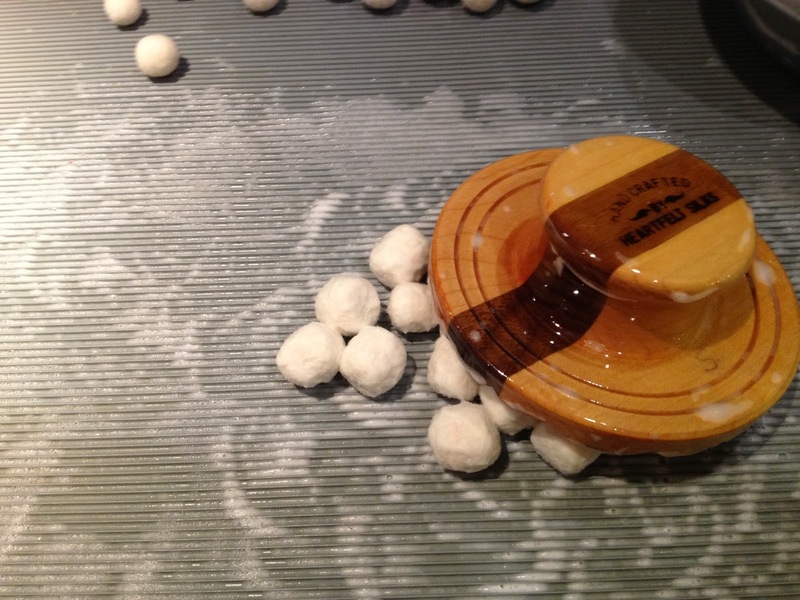 This is 100% Silk Fiber known as Mawata. Silk hankies are silkworm cocoons that have been stretched over a frame into a square, ‘hankie’ shape. 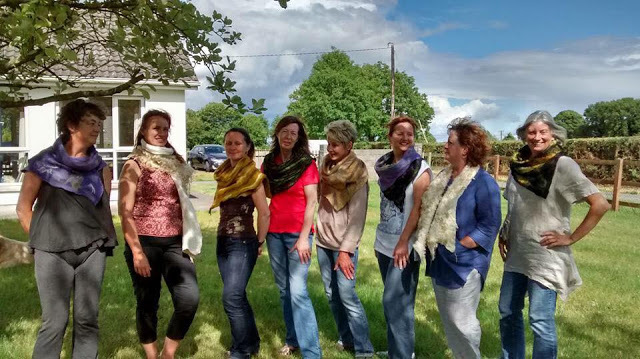 They are beautiful to work with, and can be felted, spun, or knitted or woven as they are. 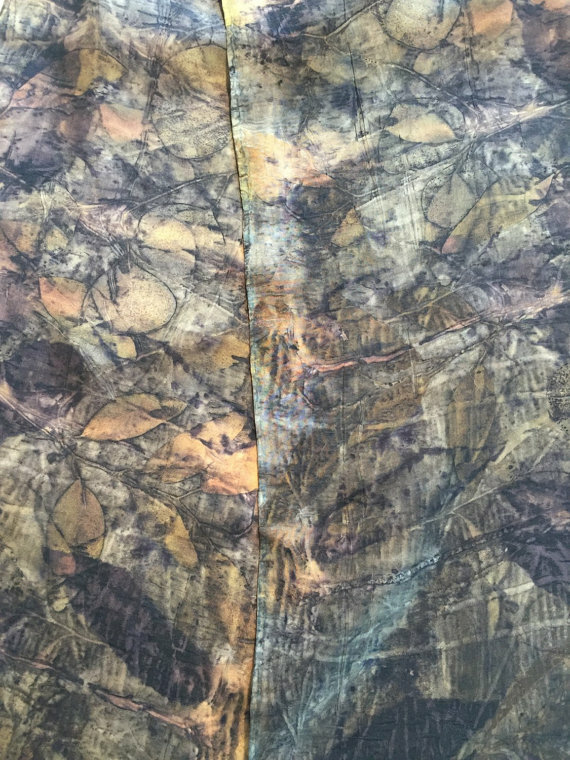 Eco-Printed and Eco-Dyed Silk Accessories and Garments — the studio has been filled with the scent of eucalyptus and other earthy scents, as I eco-dyed and eco-printed a storm of scarves, tunics, shirts, ties. 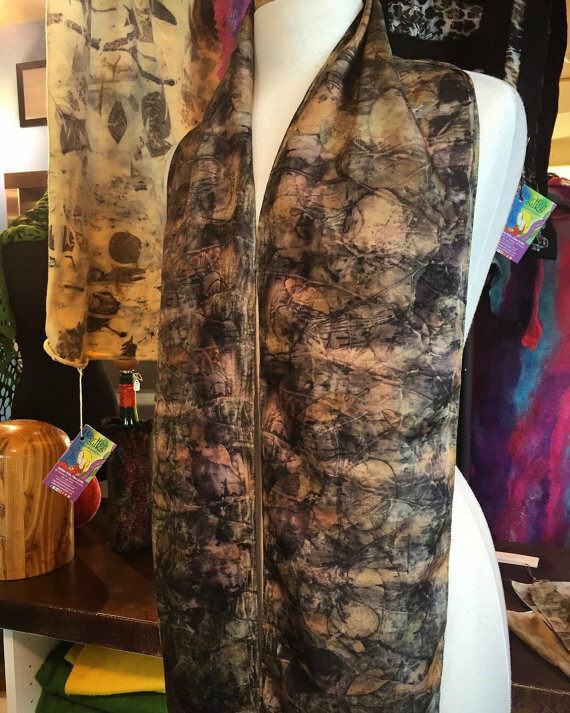 They sell quickly at our HeartFelt Silks studio at Seasons on St. Croix Gallery, and usually we don’t have a chance to put them up online, but after a few requests from overseas clients, a small selection of Eco-Printed Scarves is now in our online shop. Deep Palm Washboard Felting Tools — an important and very useful addition to the Palm Washboard family of felting tools, we began offering the Deep Palm Washboards to our customers a few months ago but have not had a chance to highlight them on the blog yet. 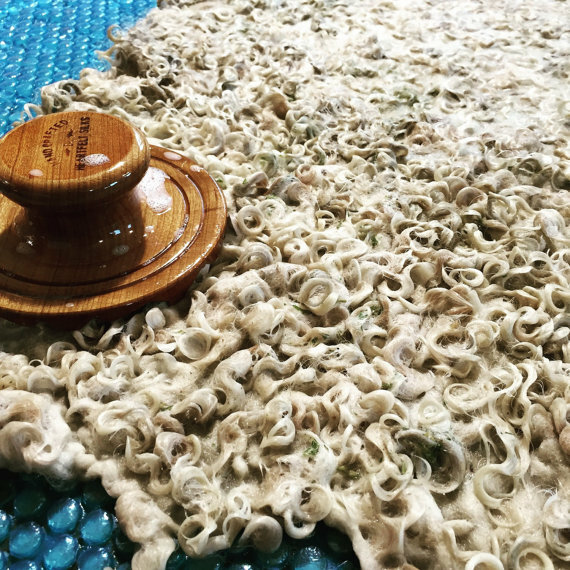 The Deep Palm Washboard has deep grooves, and it is designed specifically for the purpose of combining wool locks with a merino base but can be used for your other feltmaking needs too. 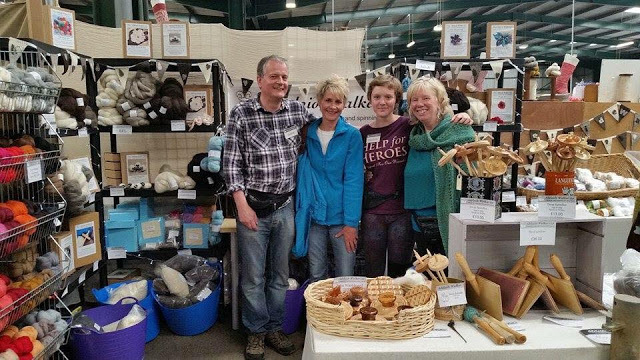 We offer a wide range of felting tools, for all your varied felting needs. 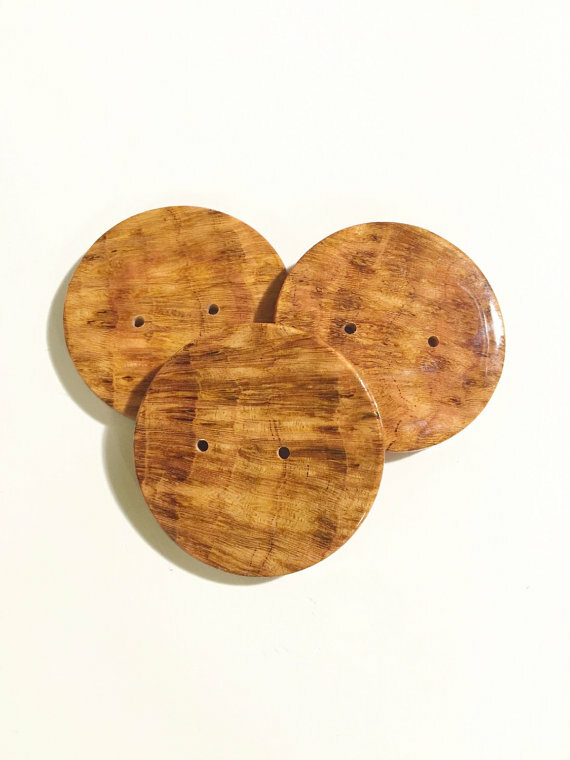 The Round Palm Washboards are great for hats and vessels, the Edge Palm Washboards are especially useful for working ruffles and seams, the Mini Palm Washboard is great for small objects (and small/children’s hands). Throughout the year, we also release some special edition Palm Washboards, like these lovely heart-shaped Palm Washboards. 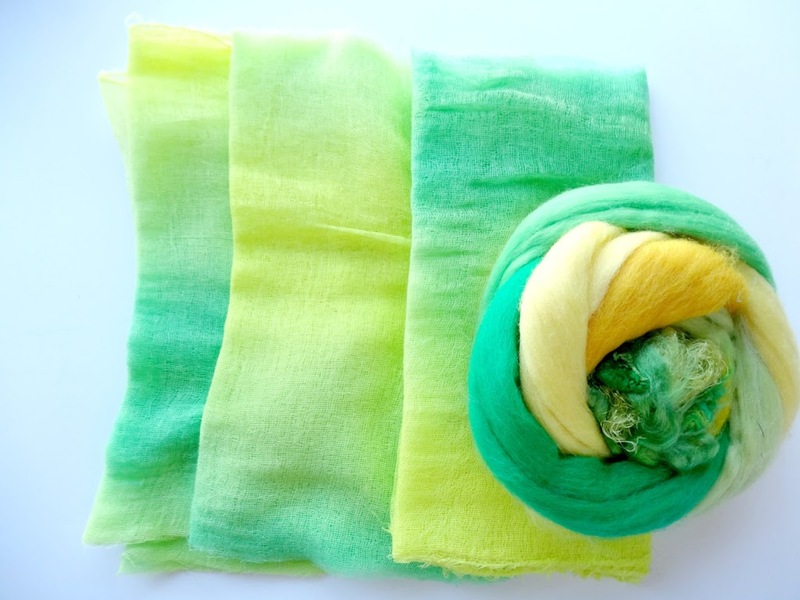 Scarf Felting Kits — each season brings a crop of new felting kits to the HeartFelt Silks Shop. 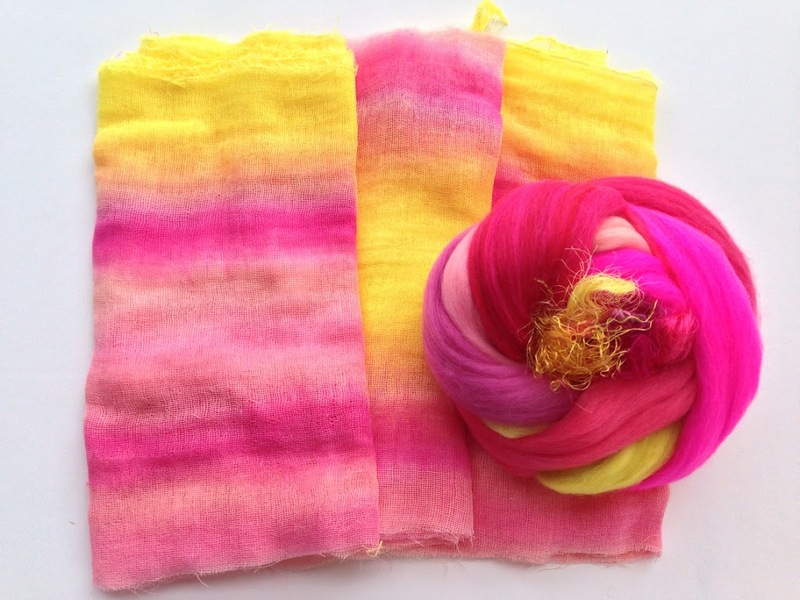 Each of our kits is unique — I hand-dye the fabric (silk or cotton gauze) to include in the kit and then hand-select fine wool and embellishing fibers to add to the mix. 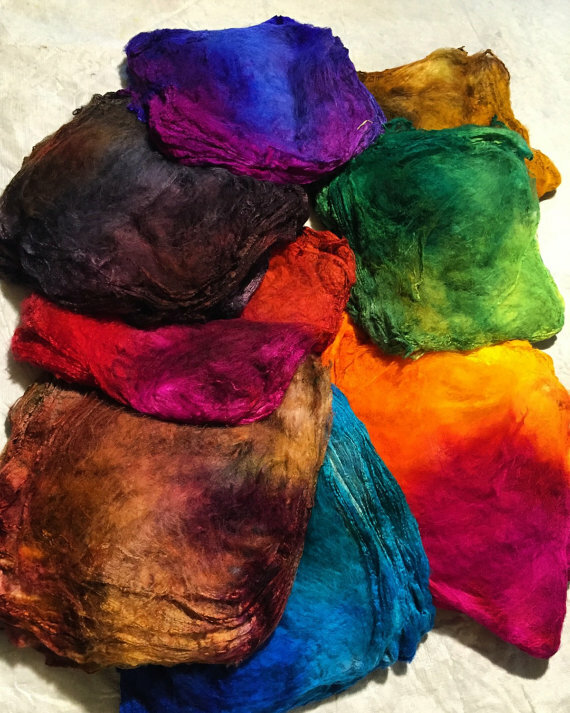 If you follow my work and enjoy my color palettes, you will love the felting kits I put together. Don’t these colors just sing spring and summer? 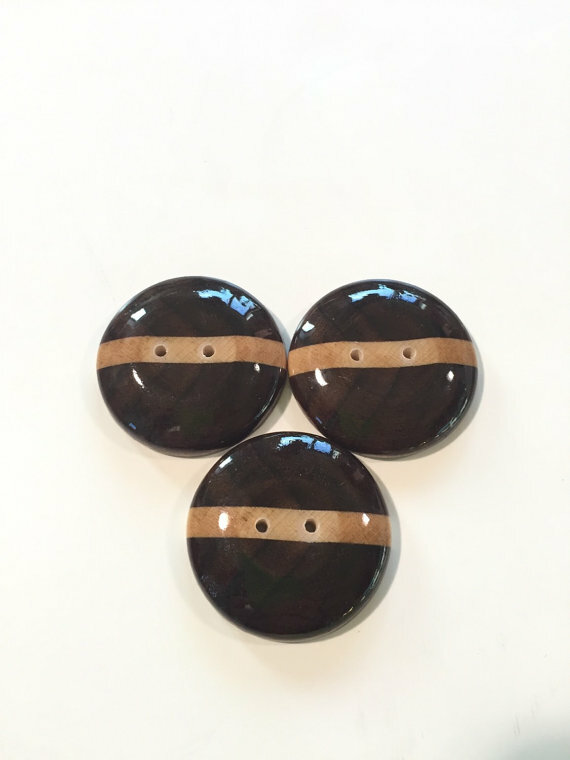 Handcrafted Wood Buttons — the HeartFelt Silks wood-shop is as busy as our retail & teaching felt studio, with my husband Harry Firth, and father-in-law Al Firth, making limited edition creations out of sustainably harvested local woods. 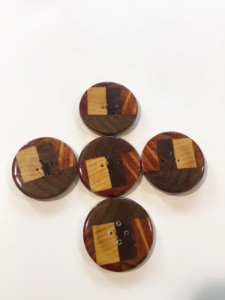 The latest series of beautiful wood buttons is perfect for your next felted, knitted, crocheted project, or for switching out the buttons on your favorite jacket or cardigan, for a fresh look. 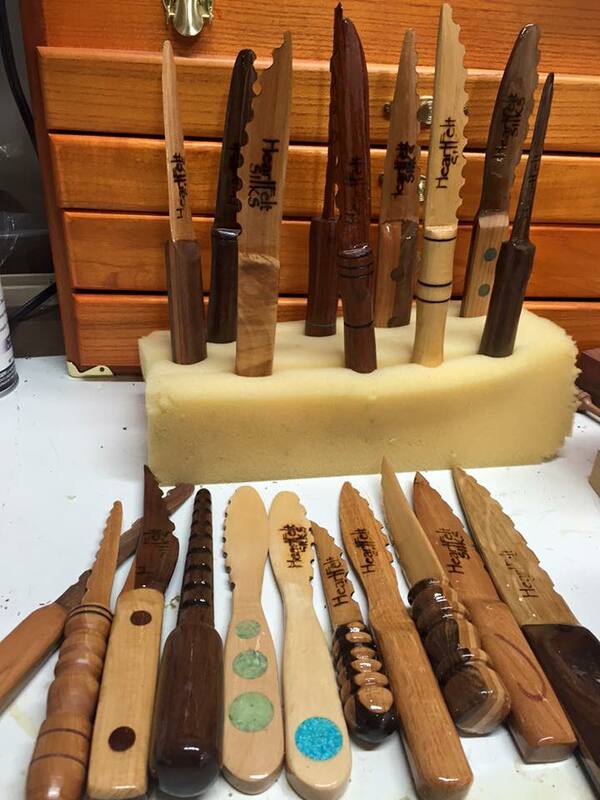 NEW Sculpting Tools for Wet Felting — these are brand-new and each is one-of-a-kind. 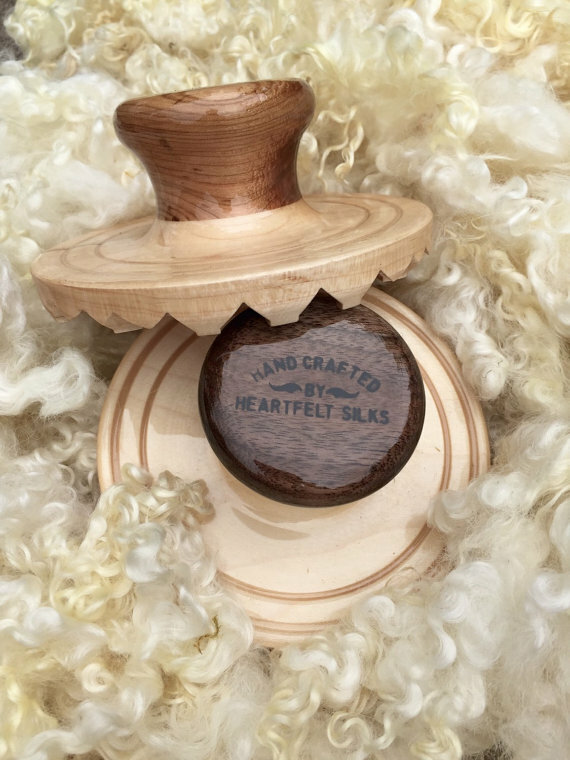 These innovative tools are great for working very fine detail and texture on your felted objects, including garments, accessories, and sculptural felted objects. 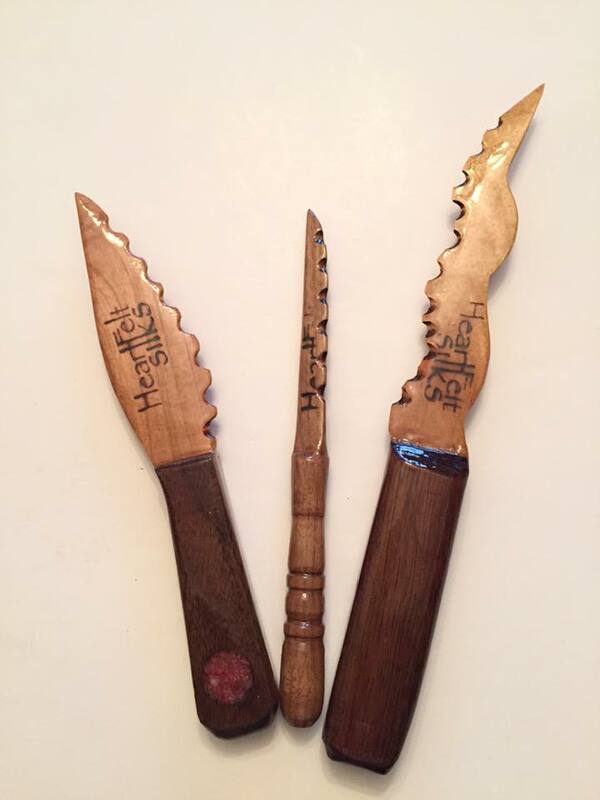 Each of these sculpting tools is unique, some feature inlay elements, and these tools are currently available via special order only, so please get in touch via email if you would like to reserve one or more for yourself. Much more is in the works, so stay tuned for our news in the weeks and months ahead! 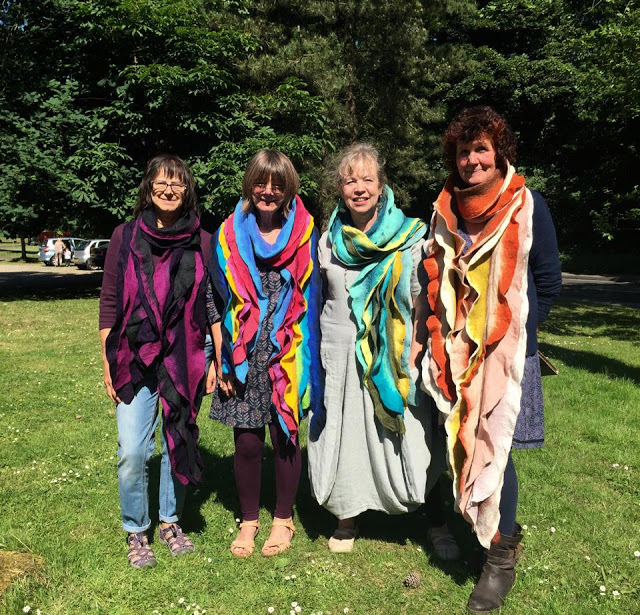 Follow HeartFelt Silks on Facebook and Instagram for daily updates, wet felting and fabric dyeing adventures, and felting tips and tricks. 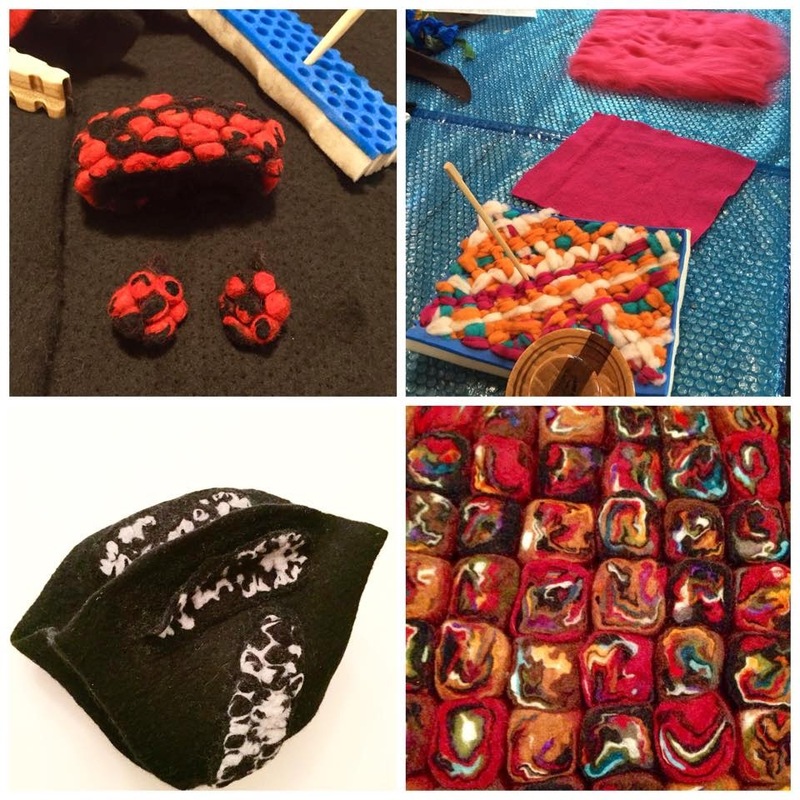 We’d love to hear what’s new with you — share your felting news with us in the comments below or tag us on FB and Instagram. 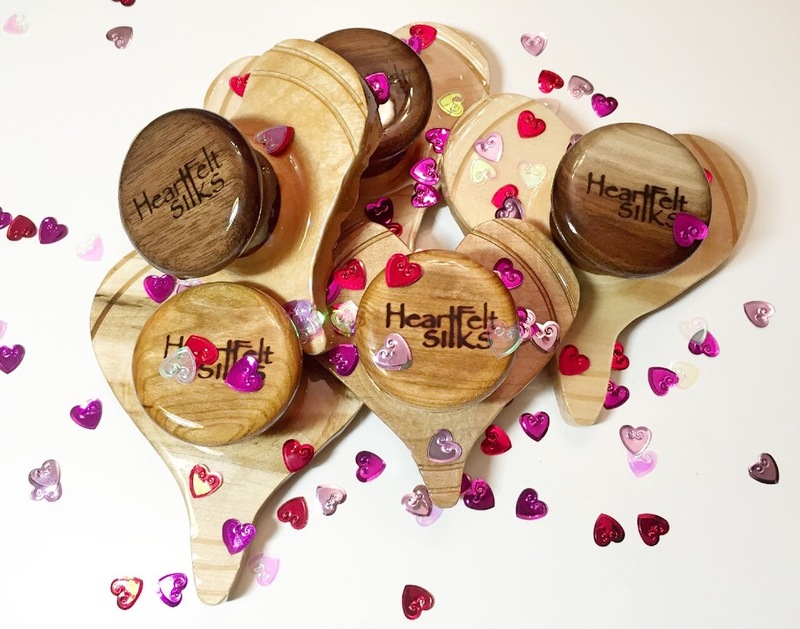 Sign up for the HeartFelt Silks MAILING LIST! 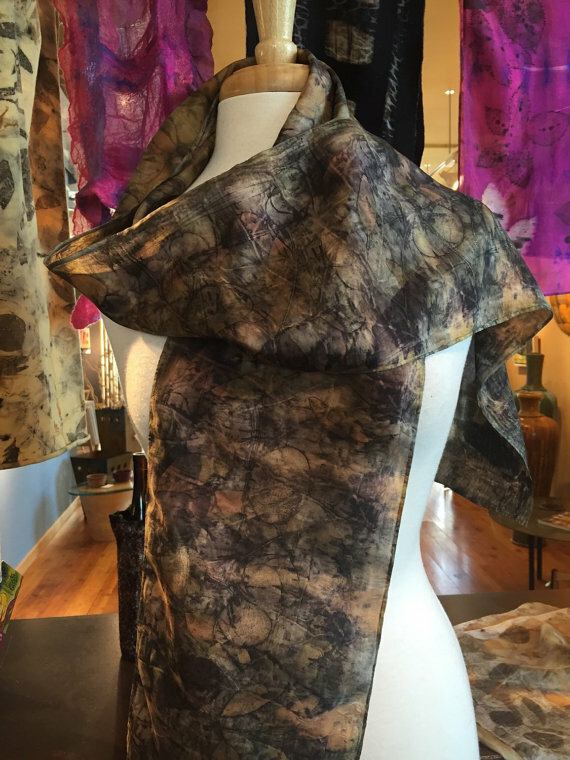 It’s a new season of felting classes at the HeartFelt Silks Studio at SEASON on St. Croix Gallery! See the list of select classes before. 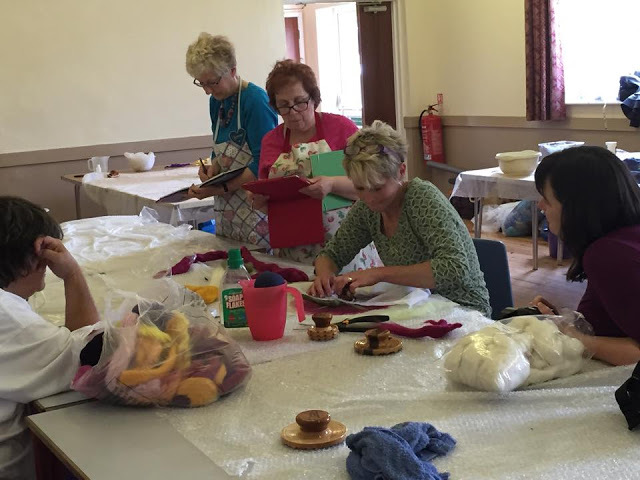 Other felting classes (including private and group instruction) can be arranged by appointment. Policy on Cancellations and Refunds: If you cancel a class 2 or more weeks ahead of class, there will be a 10% cancellation fee. If you cancel less than 2 weeks before class, there will be a 50% cancellation fee. If you cancel the day before or day of class there will be no refunds. A full refund will be made if a class is canceled by the instructor. 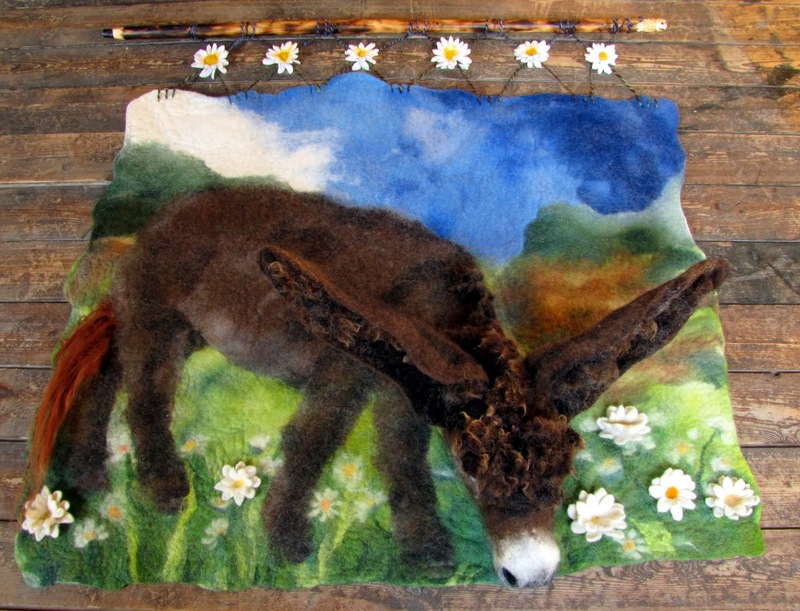 We are excited to welcome a very special guest to the blog — the talented felt artist extraordinaire, Sandra Struck-Germann. 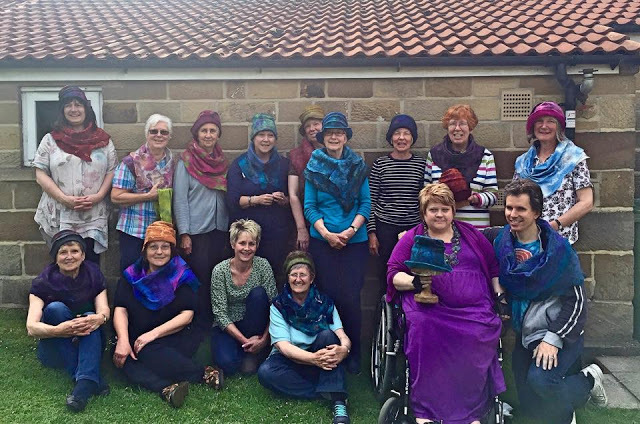 One of the earliest fans of HeartFelt Silks and one of the earliest Palm Washboard users, Sandra has become our dear friend. 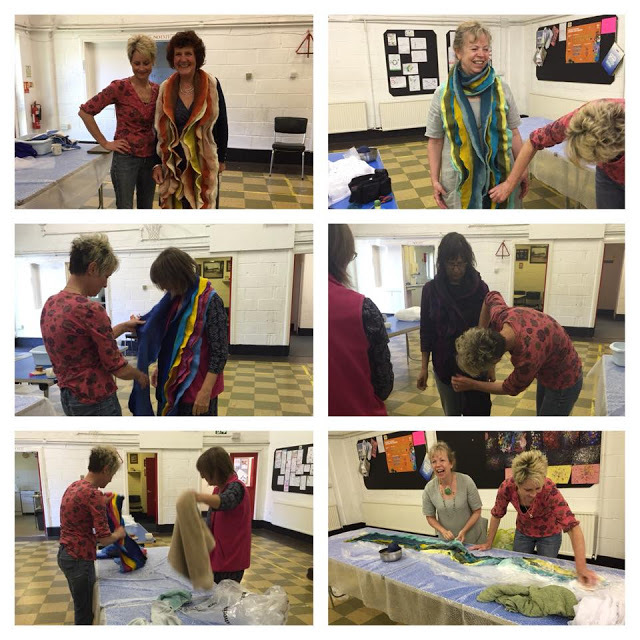 We are thankful to her for her support, and we are grateful to know her as well as her truly extraordinary felt art. 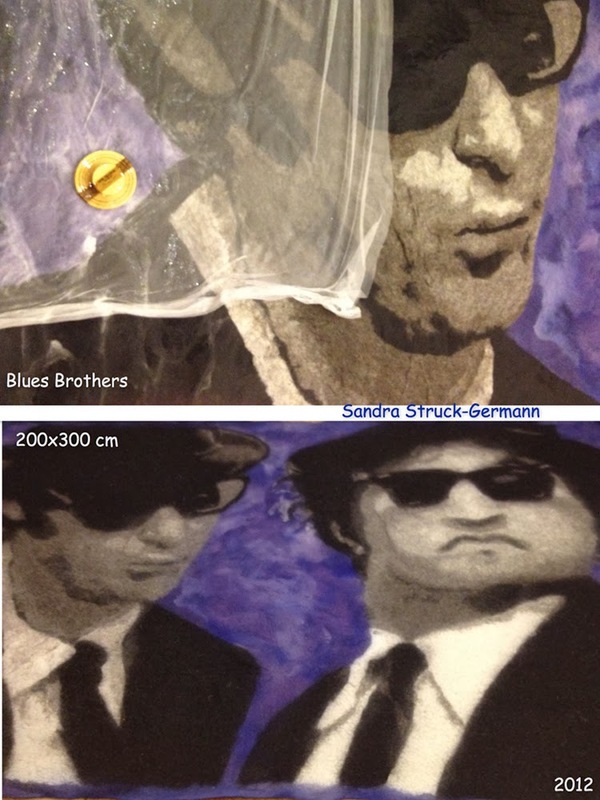 Based in Dusseldorf, Germany, Sandra teaches workshops on the craft of felting, and she also exhibits her work widely. 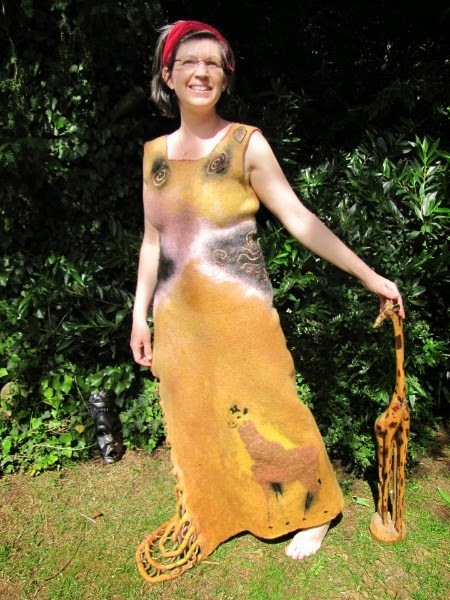 She is well known for her magnificent 3D artworks and for her large scale felted canvases too. 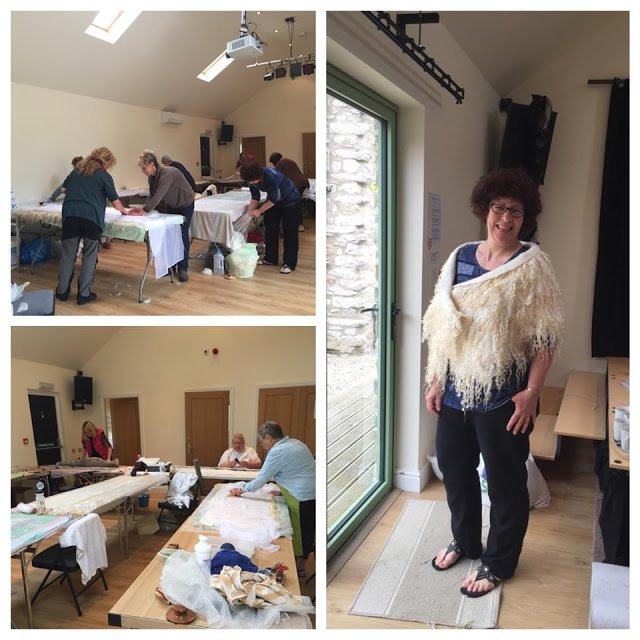 Sandra was kind to share the following words and stories with us, and to tell us how she uses the Palm Washboard felting tools in her daily work. We are pleased to share Sandra’s impressive work with you, along with her words. “Portraits have fascinated me since my childhood. 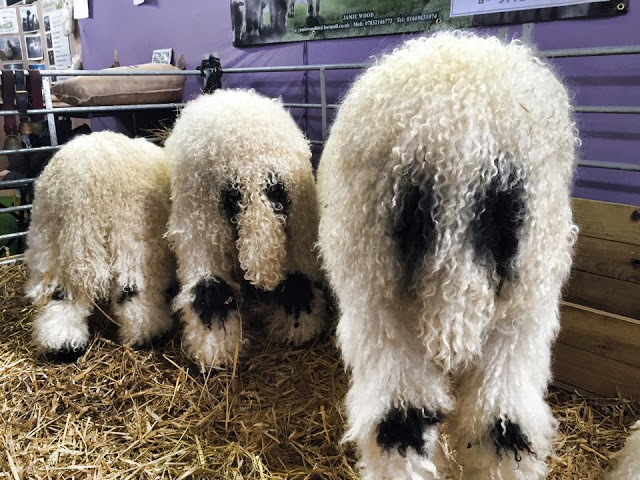 For years, my three children determined my life, and it was inevitable that I expressed myself in my felt art with children’s faces, their portraits. I love to work in large format because it gives me freedom and space in which to create. 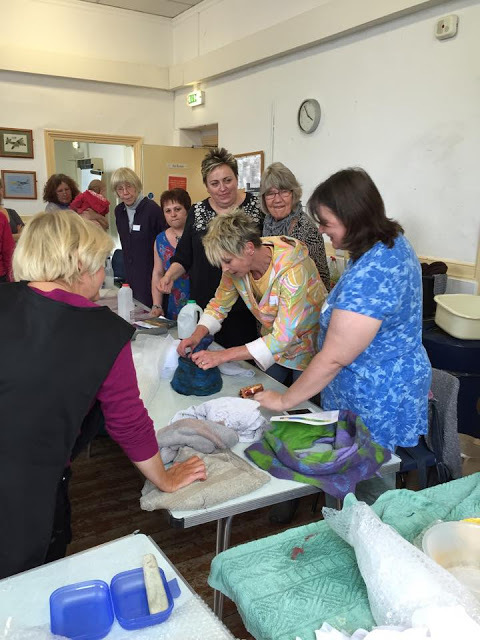 “As is the case for many feltmakers, my hands suffer from the constant contact with soapy water. 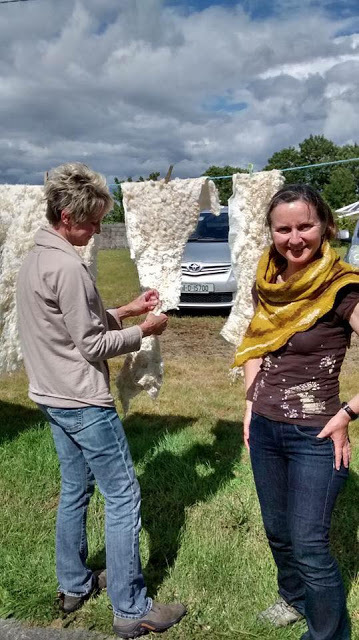 On my large scale pieces, I often work with rough-textured gauze and rough and rugged mountain sheep’s wool, and rubbing these materials with my hands for long periods of time is hard on my hands and skin. Working with gloves is uncomfortable for me. 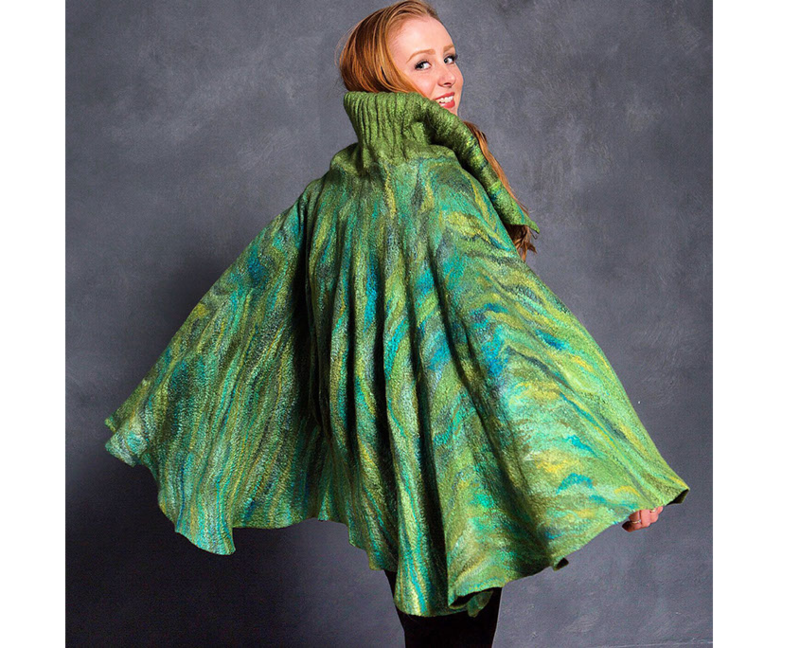 Some time ago, through Facebook, I discovered HeartFelt Silks and the Palm Washboard felting tools. When I ordered one for myself and held the Palm Washboard in my hands a short time later, I was amazed. 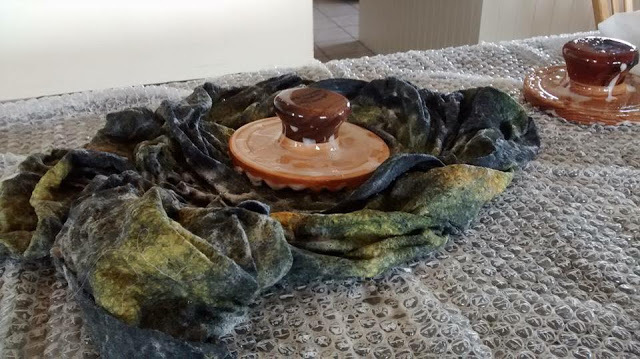 The Palm Washboard was so very different from other conventional felting tools that I had previously used! It has a smooth and flat, yet textured, surface, ideal for gliding across the delicate felt surface and creating friction. 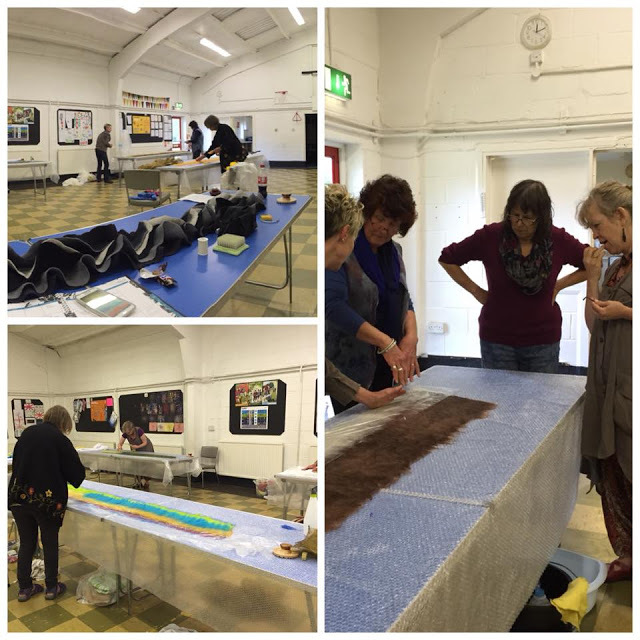 This photo illustrates the enormous scale of Sandra’s large format pieces. Note how small Sandra’s Palm Washboard is! 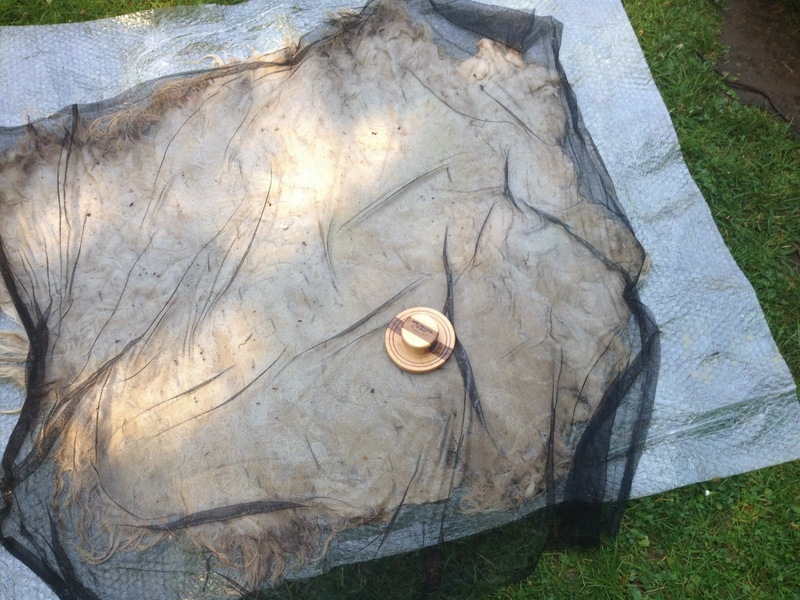 “I have used the Palm Washboard directly on wool in large format artworks. It hardens the surface much more quickly and consistently than I was able to accomplish with my hands. Even my elaborate layout arrangements and embellishments do not move or shift while working them with the Palm Washboard. Thanks to the large knob handle, the Palm Washboard fits comfortably in my hand, and I have the sense that I can feel the wool surface underneath the Palm Washboard through my hand and fingers. 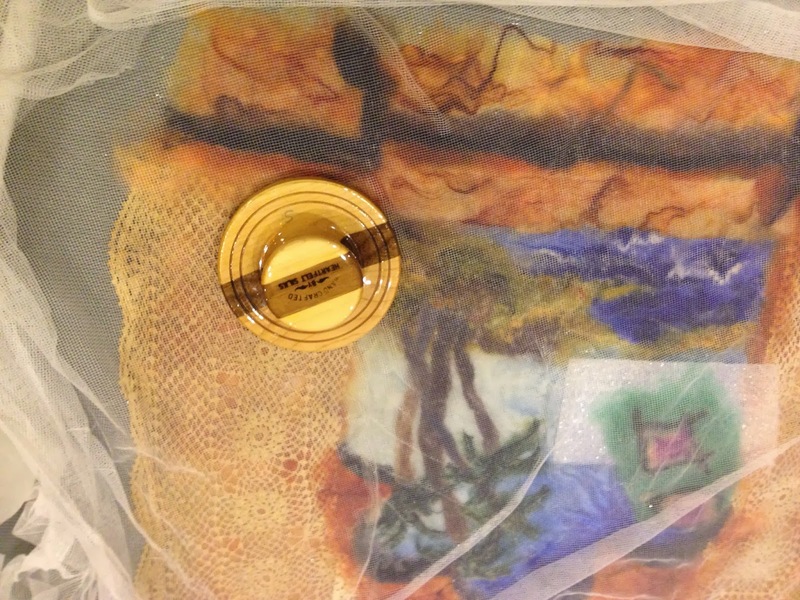 Work in progress — a multi-layered felted piece being worked with a Palm Washboard from HeartFelt Silks. 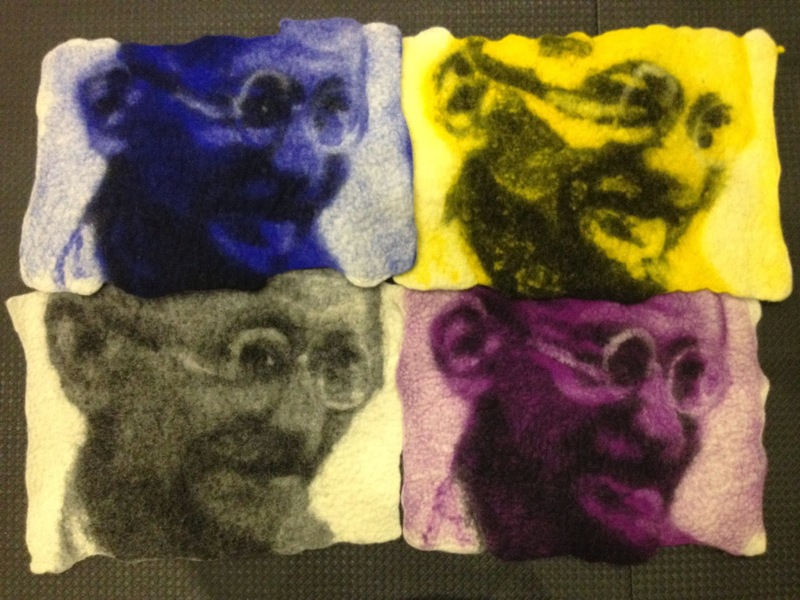 Sandra’s work on the felted portraits of Gandhi. And now the portraits are complete! 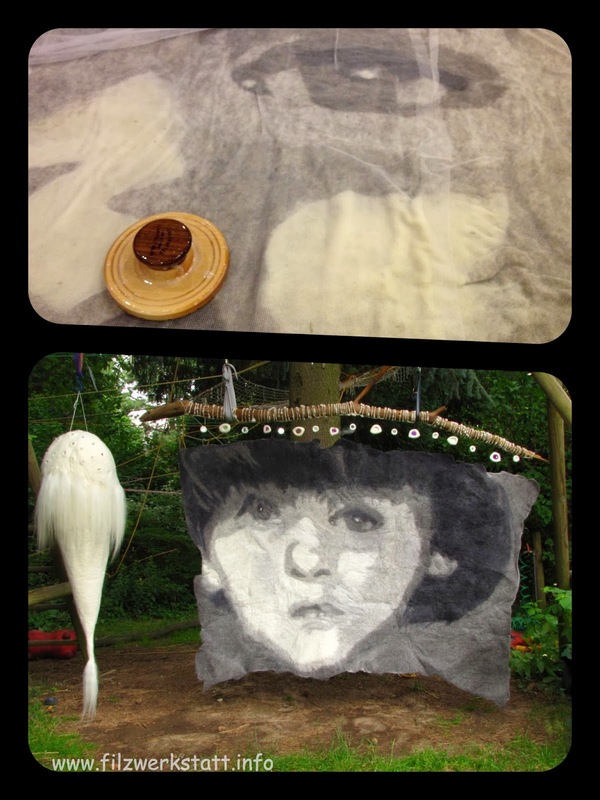 “Another great passion of mine is the felting of faces with three-dimensional elements. Most of these are animals portraits with parts of the animals’ bodies protruding from the flat surface. The making of the transition from the flat surface to the 3D element is particularly tricky, delicate, and important. The transition must be smooth, firm, solid, and strong. For this task, I especially like to work with the EDGE Palm Washboard. This felting tool has a smooth surface and a convenient shape that creates good felting results when working 3D elements. 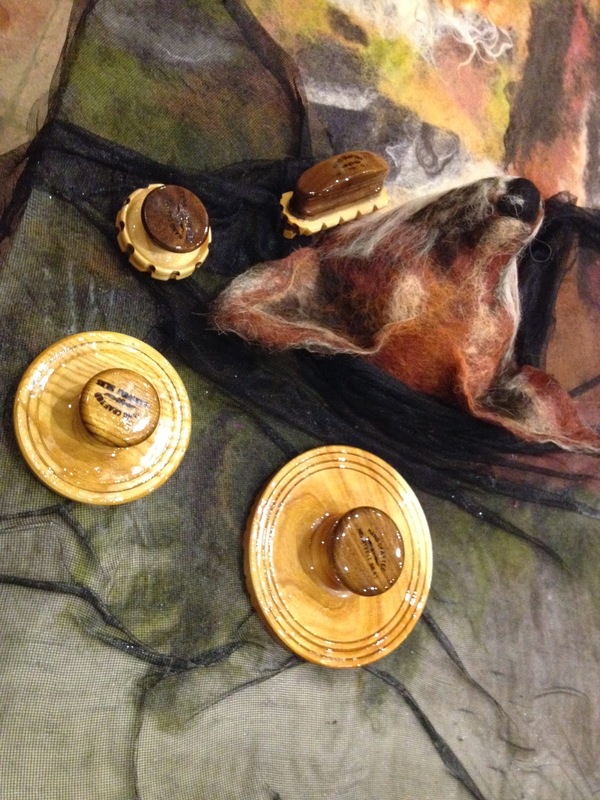 An example of Sandra’s fascinating 3D animal portraits in felt. 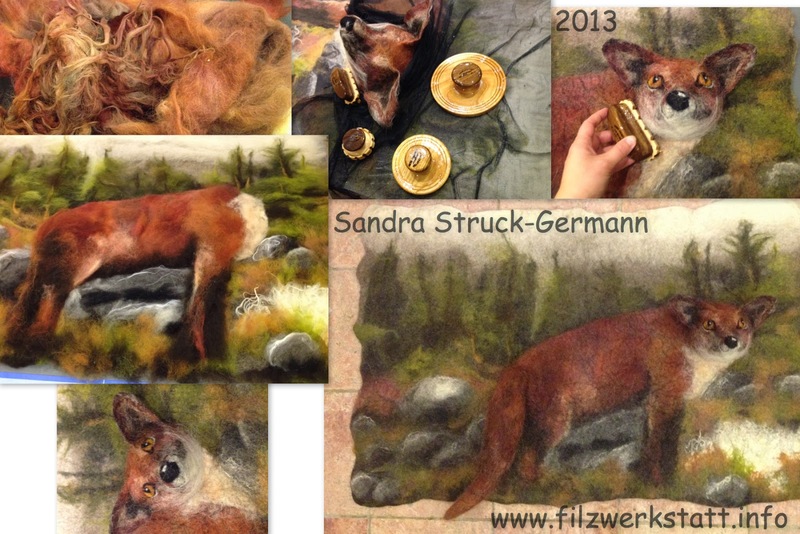 Here, Sandra is working the 3D face of the fox with the EDGE Palm Washboard. 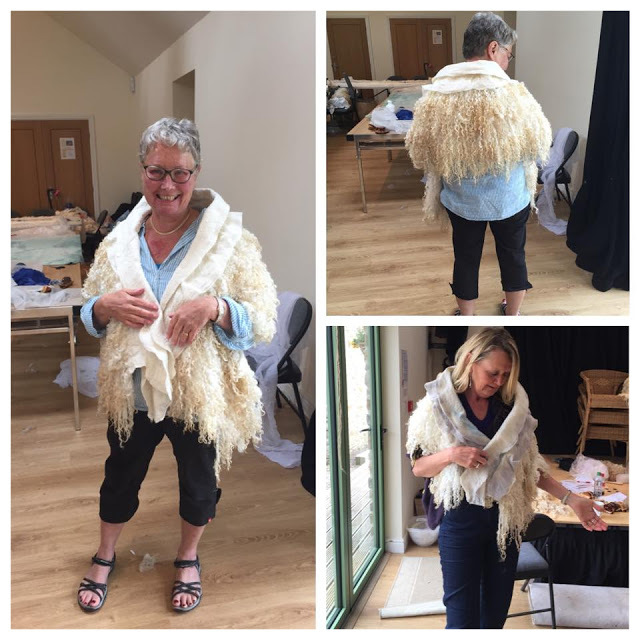 The fox’s body comes alive in Sandra’s skilled hands! Sandra utilizes the entire family of Palm Washboard tools in her work – clockwise from the bottom: Jumbo Palm Washboard, Regular Palm Washboard, Rounded Palm Washboard, Edge Palm Washboard. You can see the donkey’s head so well at this angle. 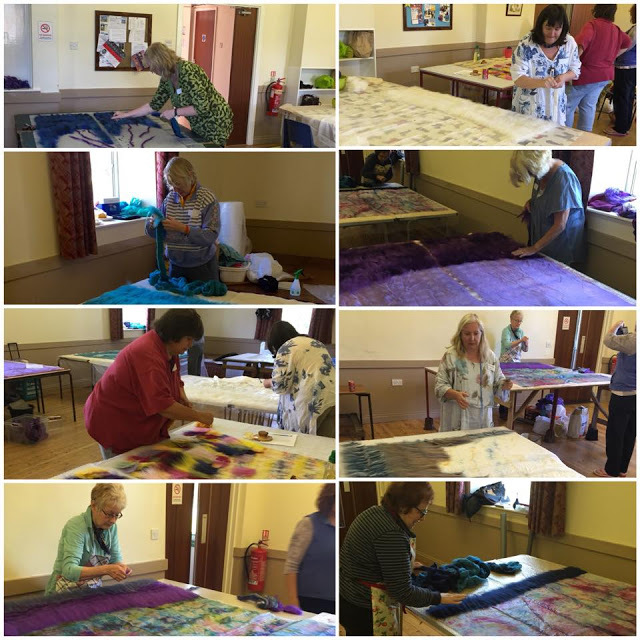 “I regularly work with seniors with dementia. Many are also limited in their motor skills. Knowing how comfortable the large handle of the Palm Washboard feels in your hands gave me the idea that this tool would be great for use by seniors. 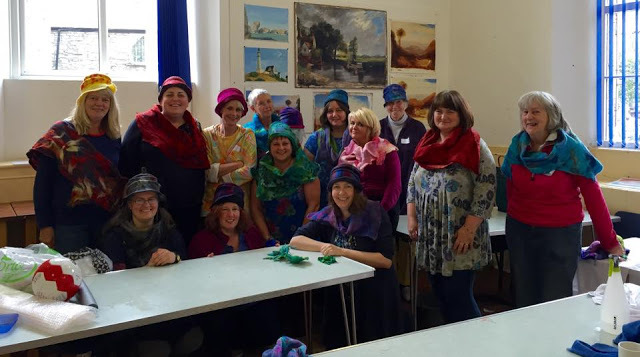 Indeed, it was a great success! 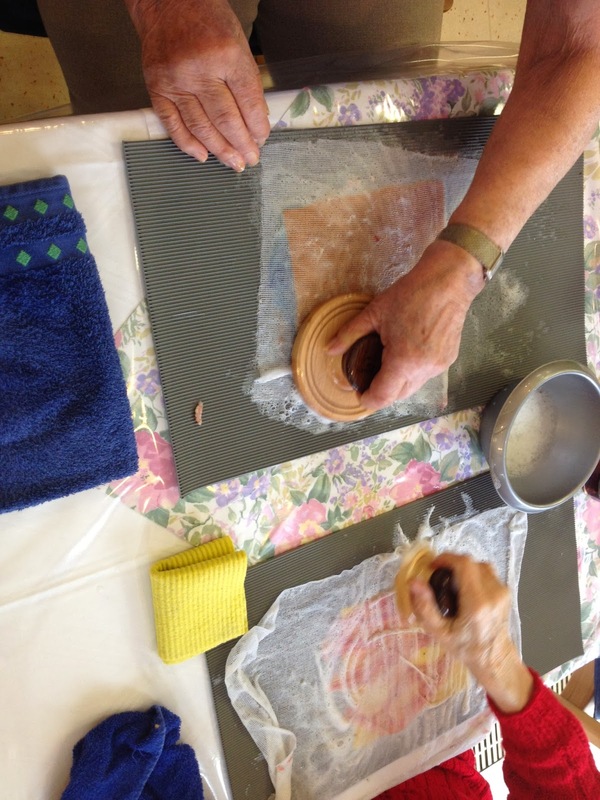 During a felting lesson, the seniors enjoyed using their Palm Washboards to felt — they got quick results, which gave them a great sense of accomplishment and boosted their self-esteem and mood. 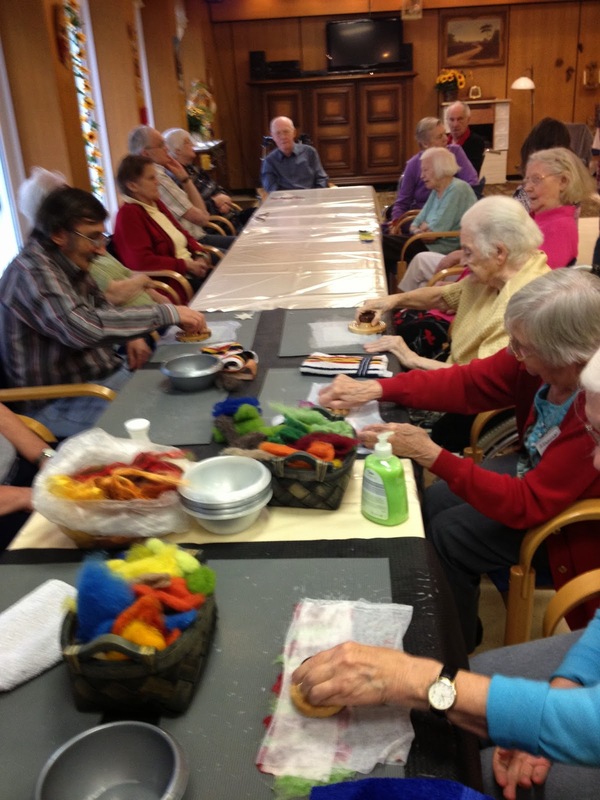 Sandra teaches felting to seniors. 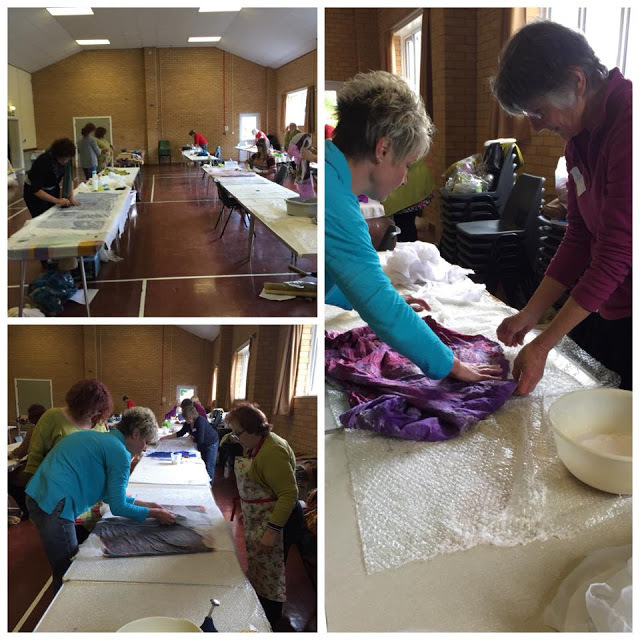 The Palm Washboards help to make the felting process enjoyable and quick. 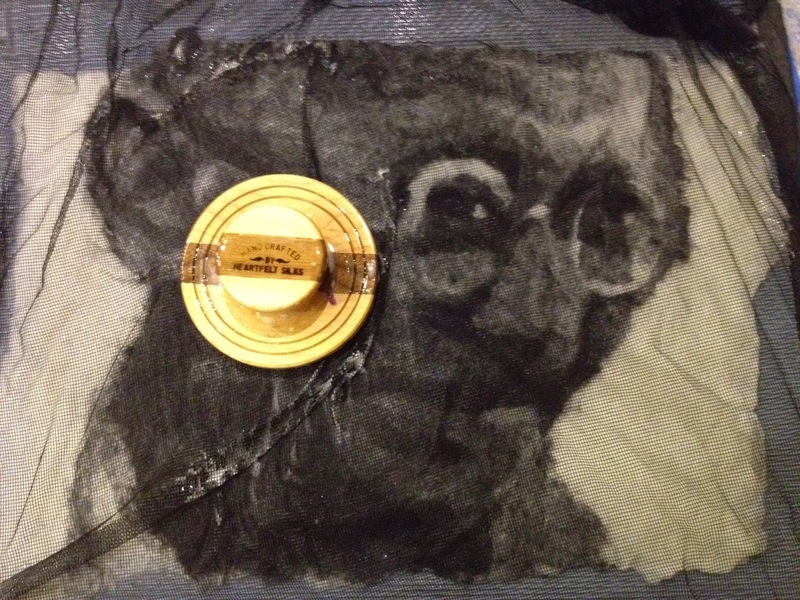 “I recently felted with a sander. I had heard people talk about felting with sanders so much that I wanted to give it a try myself. 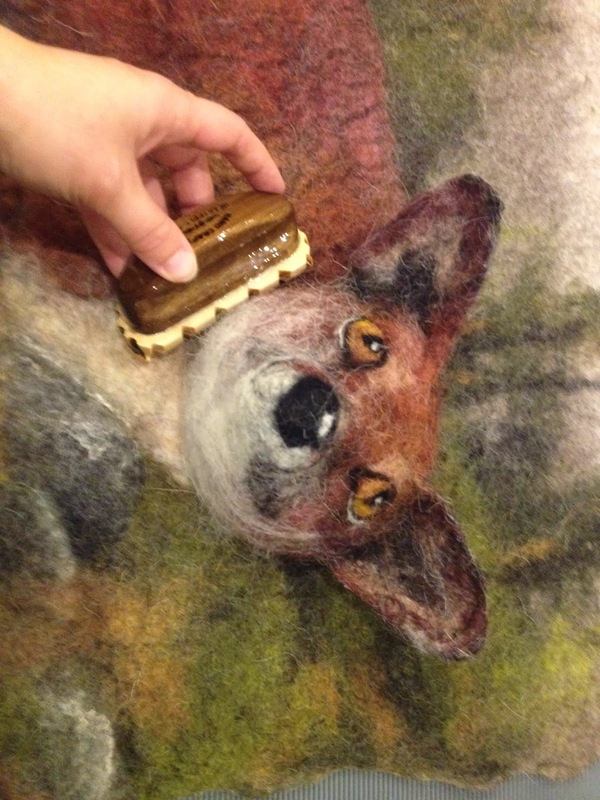 In fact, the sander felted the wool very quickly. But it also felted so quickly and powerfully that my fine and elaborate details all but disappeared! With the Palm Washboard, this has never happened to me. 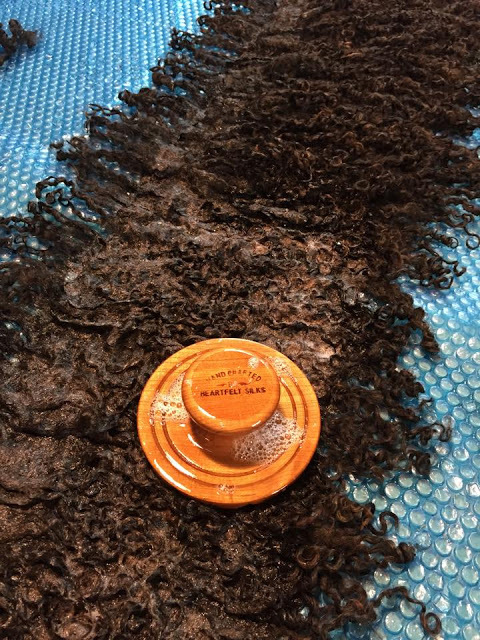 For me, using the Palm Washboard is a gentler, more controlled method of producing strong and solid felt. I’ll stay with the Palm Washboard! 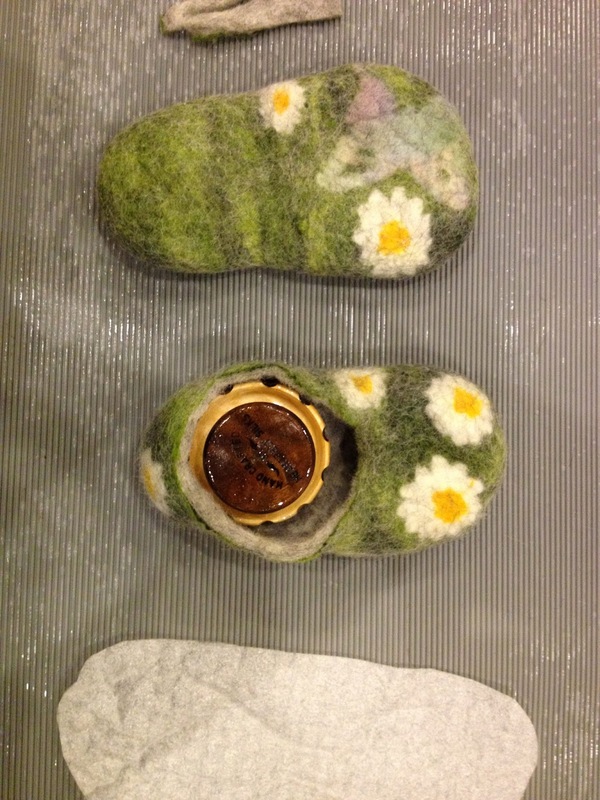 The Rounded Palm Washboard at work on a pair of adorable felted booties. 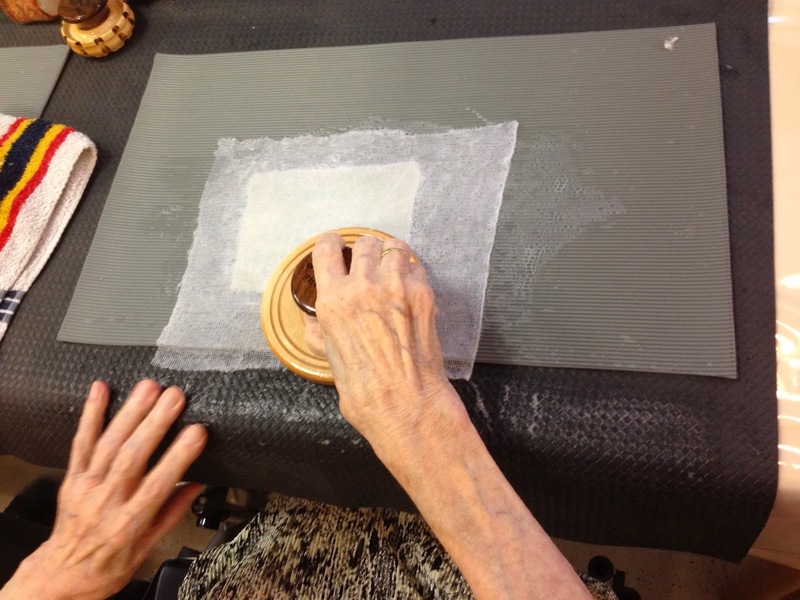 Sandra finds so many different uses for the Palm Washboards — here, she’s making a handful of felted balls. 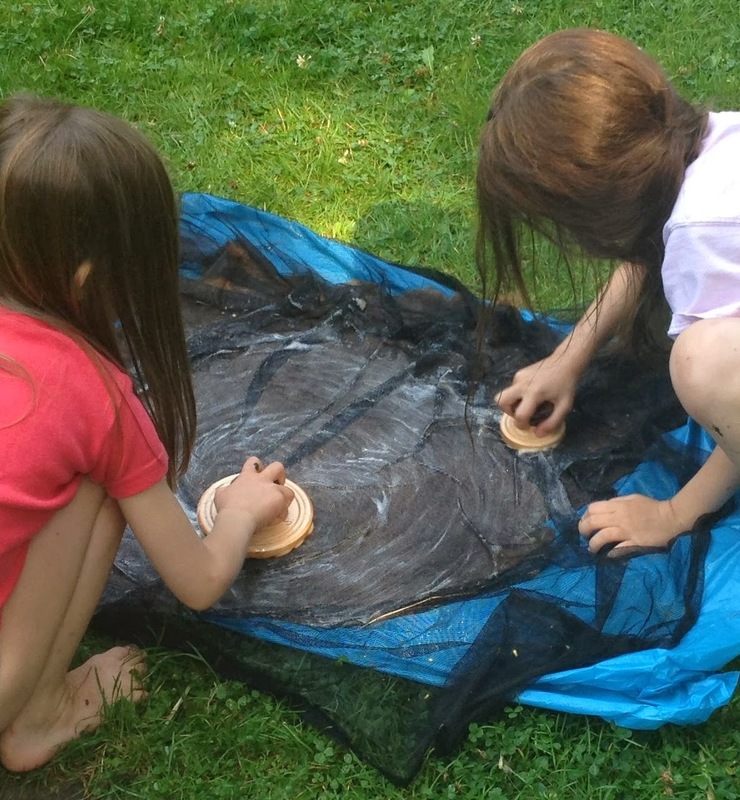 Kids love using the Palm Washboards too, and Sandra loves the help! 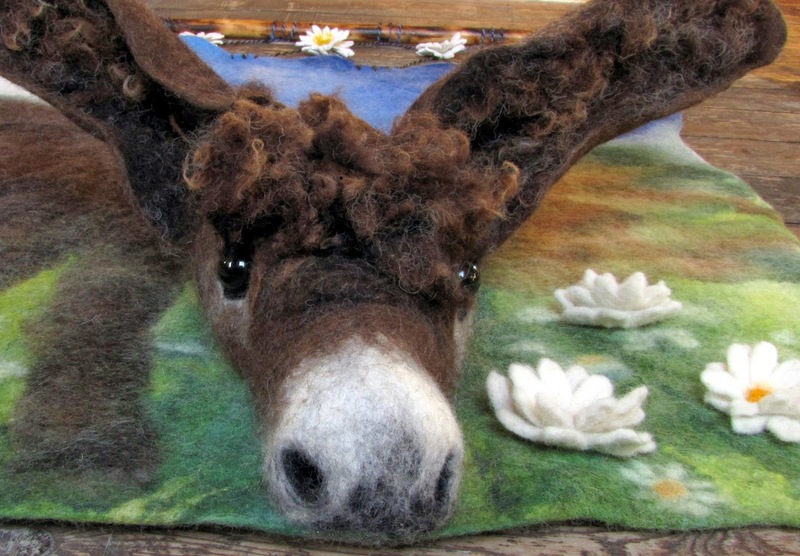 For more of Sandra’s beautiful felt art, visit her website and see our earlier blogpost featuring her work. Thank you for dropping by for a virtual visit, Sandra!